we develop many new items to our customers every season and share our research information to our customers. 3. On time delivery: We provide all of our customers with 98% on time delivery for all year round. Q: What is your delivery term9 A: 7-10 days for sample: 30-45 days for mass production. 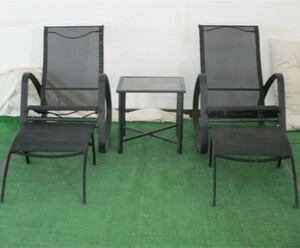 1 YRS Hangzhou Linder Trade Co., Ltd.
Our production:outdoor, patio & garden furniture, also including bar furniture. Most of products are sold to France, Germany, Spain, Denmark, Poland etc. We have large production capacity and professional export department. 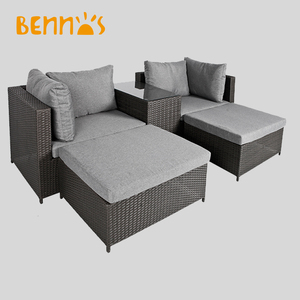 7 YRS Bazhou Huiteng Furniture Co., Ltd.
, LTD, located in Linhai Zhejiang,which is a famous historical and culture city and export base of Chinese outdoor leisure products. our main market including America,Europe,Australia,Middle East and more than 20 countries and regions,and turnover of last season is about 8.5million USD. We sincerely welcome the foreign and domestic customers to visit our factory and showroom for business negotiation. 5 YRS Chaozhou Chaoan Shunkang Hardware Co., Ltd.
4. Keep you posted the order status and finish them in four weeks. 3. We set no minimum order quantity requirements for trial orders. We make prompt and accurate response at your inquiries. 1 YRS Yongqing Shangcheng Furniture Co., Ltd.
2. Polyester colored swing cushions and canopy 3. Color: as your requirement. 3. 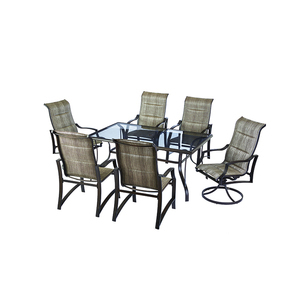 Perfect for casual dining and entertaining indoor and outside. garden patio canopy swing chair steel 2 seater swing chair for outdoor Item No. 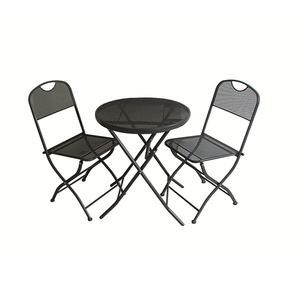 Aluminum bar table, round metal cafe table 1.Model#:AS-1921 2.Product size:1050(h) x 600(dia. ) mm 3. 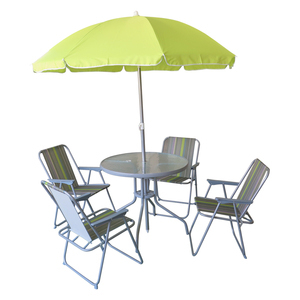 Description: Indoor and outdoor use Material: Aluminium alloy base,Stainless steel top Flat pack for easy self-assembly. table top, both round and rectangle available + different size. 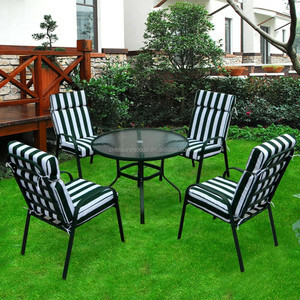 2 YRS Zhejiang Boyoo Leisure Products Co., Ltd.
4 YRS Jinhua Sicaria Household Co., Ltd.
11 YRS Jiaxing Layo Import & Export Group Co., Ltd.
1 YRS Foshan Newline Furniture Co., Ltd.
,ltd is a professional manufacturer engaged in the development, production, sales and service of garden furniture. then we arrange mass production, you can pay TT70% balance against the copy of B/L. then we arrange mass production, you can pay TT70% balance against the copy of B/L. 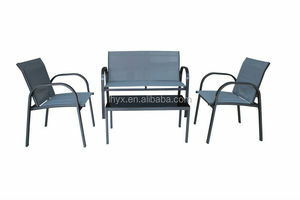 Alibaba.com offers 29,169 garden set steel products. About 1% of these are moulds, 1% are other hand tools, and 1% are storage holders & racks. 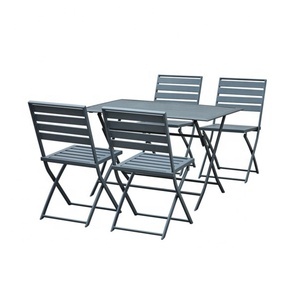 A wide variety of garden set steel options are available to you, such as knives, storage holders & racks, and pans. You can also choose from metal, stainless steel, and plastic. As well as from stocked, eco-friendly, and anti-slip grip. And whether garden set steel is astm, or gb. There are 29,169 garden set steel suppliers, mainly located in Asia. 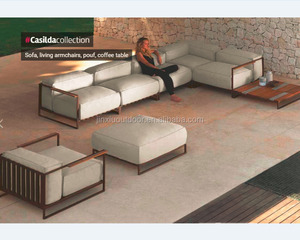 The top supplying country is China (Mainland), which supply 100% of garden set steel respectively. 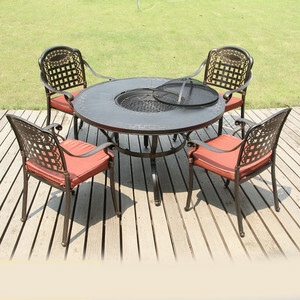 Garden set steel products are most popular in North America, Western Europe, and Domestic Market. You can ensure product safety by selecting from certified suppliers, including 4,510 with ISO9001, 3,218 with Other, and 1,103 with ISO14001 certification.